Well, so much for that perfect preseason. The Carolina Panthers marched into Heinz Field with an unblemished preseason record and only a few roster spots left to be decided – they marched out 3-1 and with questions remaining on the botom of the roster as they fell to the Pittsburgh Steelers 39-24 in their final tuneup before the regular season. 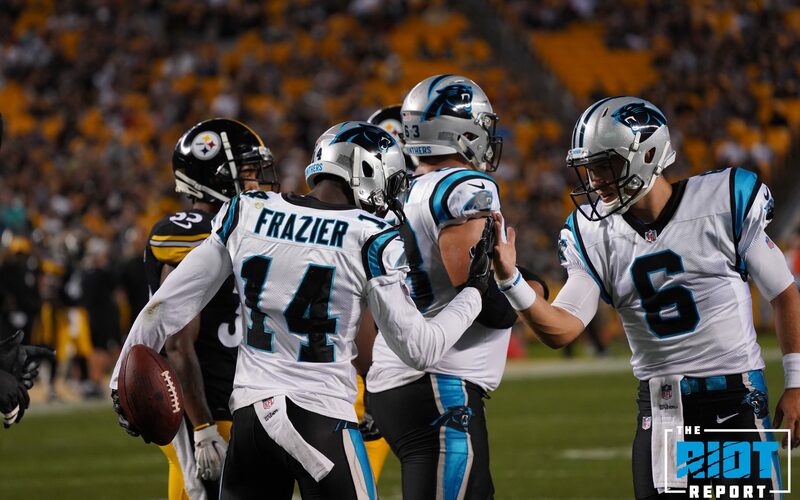 With almost the entirety of the starting lineup sitting this one out – Cam Newton didn’t even wear the requisite blue socks to go with the snazzy black pants/white jerseys combination – the second-team defense got off to a slow start against Steelers QB Josh Dobbs, who has been the topics of trade rumors this week, who eluded the rush on multiple occasions to find open receivers downfield, completing three passes over 25 yards, including a 27-yard touchdown to Tevin Jones in which Dobbs stepped out of the grasp of Colin Jones and hit a wide-open Jones on the left side of the end zone – it looked as if two Panthers got confused about who was supposed to be covering Jones as he was equidistant from both Rashaan Gaulden and Jermaine Carter, Jr.
Gaulden, who was starting at safety along with Colin Jones, was attempting to impress coaches and perhaps leapfrog veteran Da’Norris Searcy for a starting job and the deep passes competed throughout the first half probably didn’t help his case; Gaulden was inches from a pass breakup on a 46-yard pass to Justin Hunter that ultimately resulted in the Jones touchdown – the rookie played the first quarter along with Colin Jones before being rested for the regular season. One question that may have been answered was who would be behind Cam Newton on the depth chart as Taylor Heinicke started slow, completing only one of his first five attempts before heating up and finishing his day with a touchdown drive that traveled 81 yards as Heinicke completed six of his seven attempts for 59 yards and a six-yard score to Mose Frazier. Garrett Gilbert, in a quarter of action, finished 4-of-7 for only 23 yards and a lost fumble; if the backup quarterback is still on the roster, he seems likely to wear #6. With Kevon Seymour not playing again, Lorenzo Doss and LaDarius Gunter got the nods at outside corner with Corn Elder taking snaps at nickel – Doss and Elder seemed to be competing for the final cornerback slot, and neither were particularly impressive – you don’t expect to see defensive perfection from the backups and third-string defense, but 190 yards and 25 points in the first half isn’t going to turn any heads; whoever was in the lead for the roster spot likely kept it tonight.  Cameron Artis-Payne got the start at running back and averaged seven yards per carry in only a quarter of work; Kenjon Barner had six carries for 16 yards in more action, and also showed some life in the return game with a nice 34-yard kick return – if he’s going to make the roster, it will be no doubt be at the expense of someone at a different position as the Panthers would likely make Barner their fourth running back. If you’re sad about this loss, remember that the defense that gave up 25 points in the first half contained players that aren’t going to make the roster – and that the 2015 Panthers finished 3-1. We all remember that season. 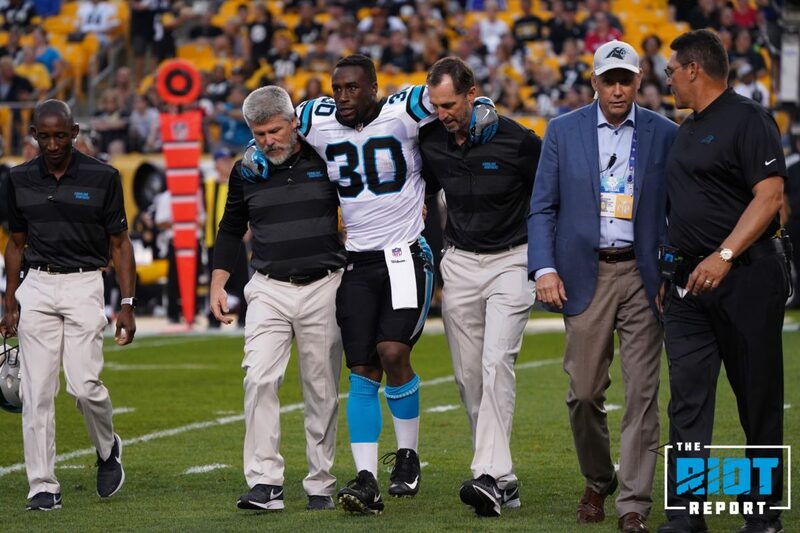 Running back Elijah Hood was injured during the opening kickoff and was carted to the locker room with a left leg injury – while Hood wasn’t expected to compete for a roster spot, he was was certainly in line for a place on the practice squad. Now it seems he may be more likely to be placed on injured reserve. In addition to most of the veteran starters getting the night off, Donte Jackson didn’t play – that certainly seemed to cement his status as the Day 1 starter opposite James Bradberry. Frazier’s second quarter touchdown catch was his third of the preseason, the most of any player in the NFL. Blaine Clausell, who began the game on the bubble as one of the last offensive linemen in contention for a roster spot, had a tough night at left tackle, committing two holding calls that wiped out two nice gains, including a third-down conversion, and allowing the sack that resulted in the Gilbert fumble. He also allowed a sack in the third quarter that was negated by a unnecessary roughness call on the defense. Speaking of calls on the defense, the Panthers were flagged for two consecutive roughing the passer calls, both of which resulted in commotion along the sidelines as Ron Rivera searched for an answer of what Bryan Cox, Jr or Jared Norris did to get the calls. After a Kyle Allen fumble on the first play of the fourth-quarter, Steelers linebacker Matthew Thomas picked up the loose ball and appeared on his way to cruising for a defensive touchdown until he was chased down from behind by UDFA running back Reggie Bonnafon – Bonnafon hasn’t had many reps this offseason, but that’s certainly a good play to put on tape. He later scored a goalline touchdown. The Panthers scored their final touchdown on a play where wide receiver Bug Howard made a catch over the middle before being tackled and fumbling – the ball bounced into the end zone where it appeared to have been recovered by a Steelers defender – but the player that came out of the pile with the ball was actually Howard himself.